The Russian-led anti-terrorist campaign in Syria has taken center stage at the Gas Exporting Countries Forum in Tehran, where President Putin met with Iranian leaders and praised their country’s role in rooting out terrorism in the region. Meeting with his Iranian counterpart, Hassan Rouhani, the Russian leader said that without Iran’s cooperation in the anti-terrorist campaign in Syria, success would have been impossible to achieve. Vladimir Putin emphasized that the Russian-led operation is a “complex” mission that also involves work coordinating the efforts of the coalition which includes Syria, Iran and Iraq. Putin meanwhile praised the efforts of Russian pilots, who continue daily combat sorties against terrorist targets in Syria. 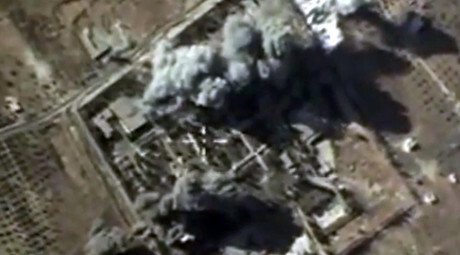 “I evaluate the actions of our pilots as quite positive,” Putin said. In addition to deploying vast air power, Putin stated that Russia is also using its fleet in the Caspian Sea and the Mediterranean Sea to launch missiles against Islamic State targets in Syria. “With regard to the actions of our military, it is a complex operation – involving a large space grouping, diverse air forces: attack aircraft, bombers, strategic missile bombers and fighters jets covering them,” said Putin, during the visit to Tehran to attend the third summit of the Gas Exporting Countries Forum (GECF). 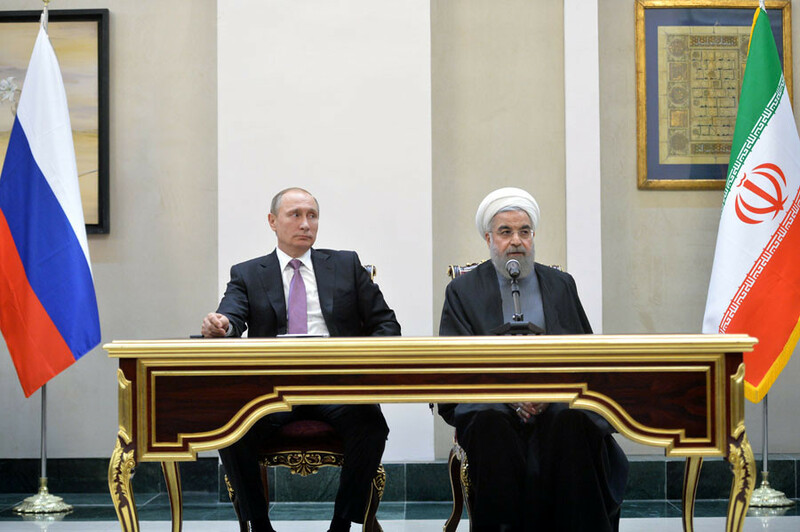 After the meeting Putin stressed that “political negotiations” are the only viable way of reaching a final resolution to the Syrian crisis, but for now, Russia’s air campaign is yielding “positive results,” an assessment that is shared by the Iranian side. “Once again I want to say – there is no other long term possibility to solve the problem in Syria, except through political negotiations,” Putin said. 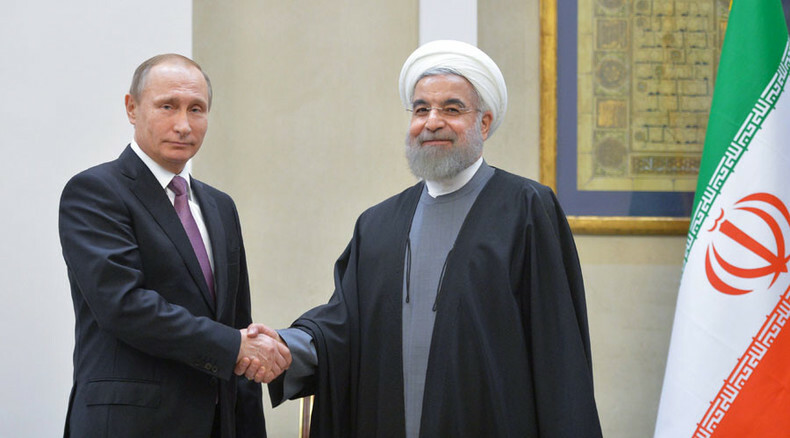 The Russian president also touched upon the Iranian nuclear program and promised to help Tehran with its processing of enriched uranium in accordance with the deal reached with the world powers this summer. “We will provide maximum assistance ... [with] the implementation of an action plan within the framework of Iran's nuclear program, approved in July, [by] the UN Security Council,” he said after talks with Iranian President Rouhani. Earlier, Iran’s supreme leader, at a meeting with the Russian president in Tehran, blamed US policy in the Middle East for the ongoing regional instability and conflict in Syria. The meeting between the Russian president and Ayatollah Ali Khamenei lasted for almost two hours. “The Americans have a long-term plot and are trying to dominate Syria and then the whole region ... 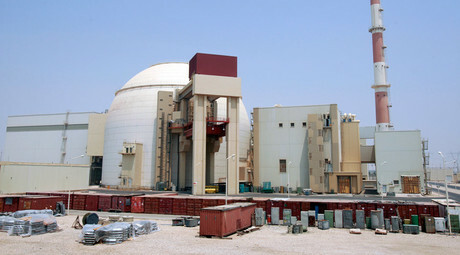 This is a threat to all countries, especially Russia and Iran,” Khamenei said according to his website, Reuters quotes. “The United States is now trying to achieve its failed military objectives in Syria by political means,” Khamenei said with regards to the peace talks to end the civil war in Syria. “Unlike certain parties, we are committed to never stab our partners in the back or take any behind-the-stage move against our friends and to resolve any differences that may arise through dialogue,” Putin added, FNA reports. The supreme leader also shared Putin’s long-stated stance that the Syrians must decide the future of their country on their own, without outside interference.